and it was taken right in my backyard by my favorite place (the pond)! Oh what an amazing and gorgeous shot! What a capture!!!! 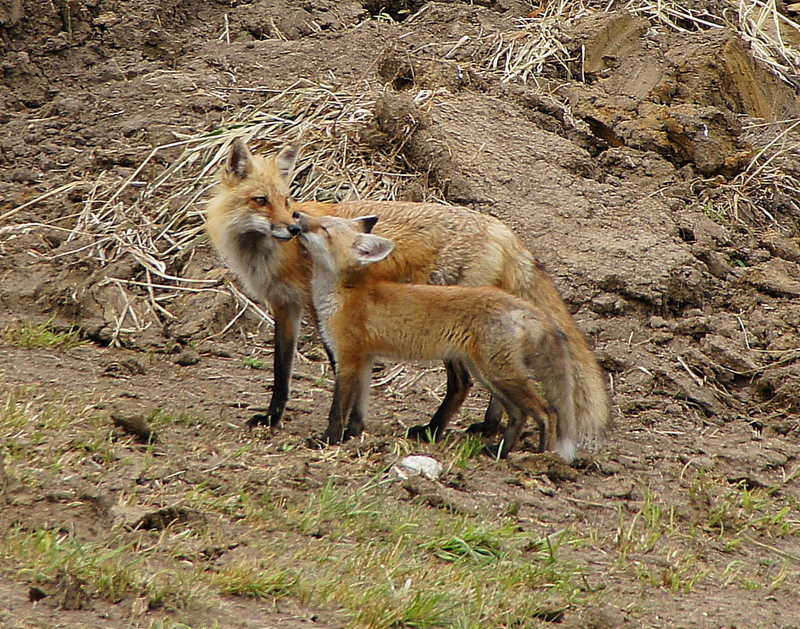 First very cool that you saw a red fox in your garden, then a mama and baby to boot. And, that you had your camera! It belongs in National Geographic! This is just precious, Misty. Oh what a lovely image. So tender and sweet. I've only seen a fox once. It was on the day we buried our first cat. What a cool sighting and a great capture! Oh my gosh....color me green with jealousy!!! What an incredible capture. Beautiful shot. You've managed to capture the wonderful mother/baby bond so wonderfully. Great job! What a wonderful capture this is! how adorable! terrific shot, too! Such a sweet photo, Misty. Wonderful capture! This is a really heart touching shot. Beautiful theme. Wonderful shot and so unusual...very touching and sweet also. Oh what a lovely photo! Misty, it is nice to meet you. I adore your shot of the foxes. I look forward to reading more of your post. Thank you for following my blog. awww it's just so sweet, captured so beautifully!! what a great moment this must have been for you as well!! thanks for stopping by "it's all about purple" and for leaving such a kind comment!! Aren't they amazing@?Love our critters.